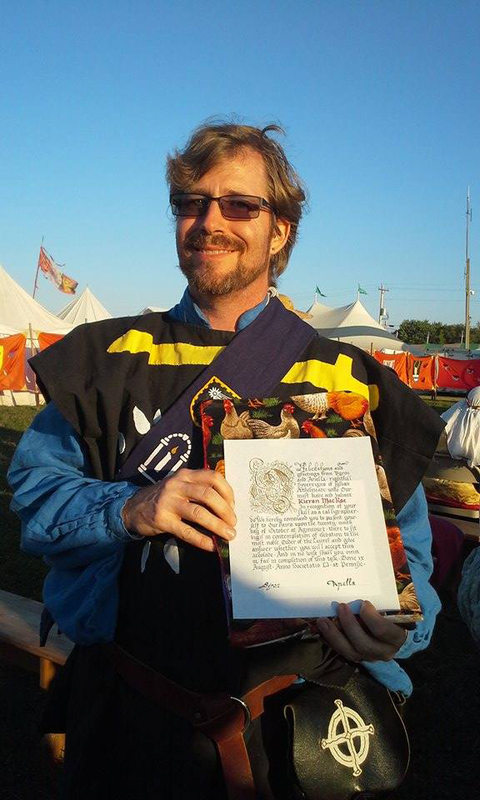 THL Kieran MacRae received a Writ for a Laurel last night at Pennsic. Elevation to be at Agincourt in October. Send your Pennsic news and photos to us at aethgazette@gmail.com. Make sure to let us know who took any photos.